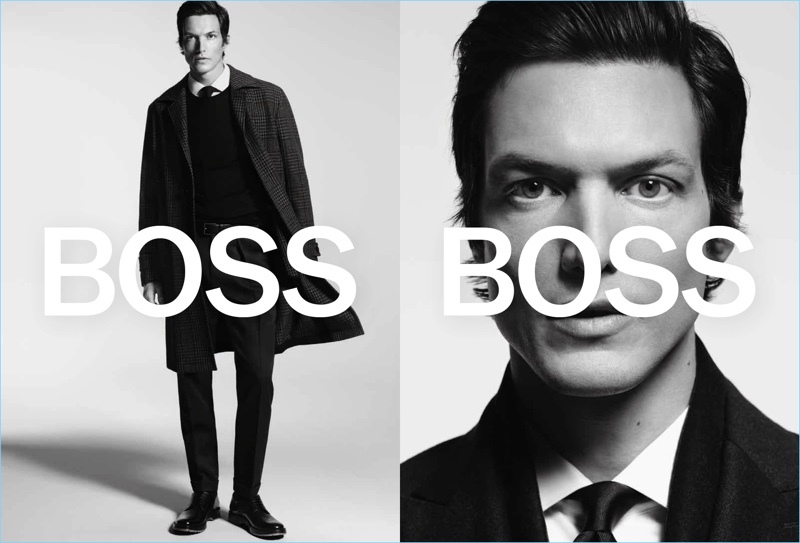 Michael Gandolfi appears in BOSS' fall-winter 2018 campaign. 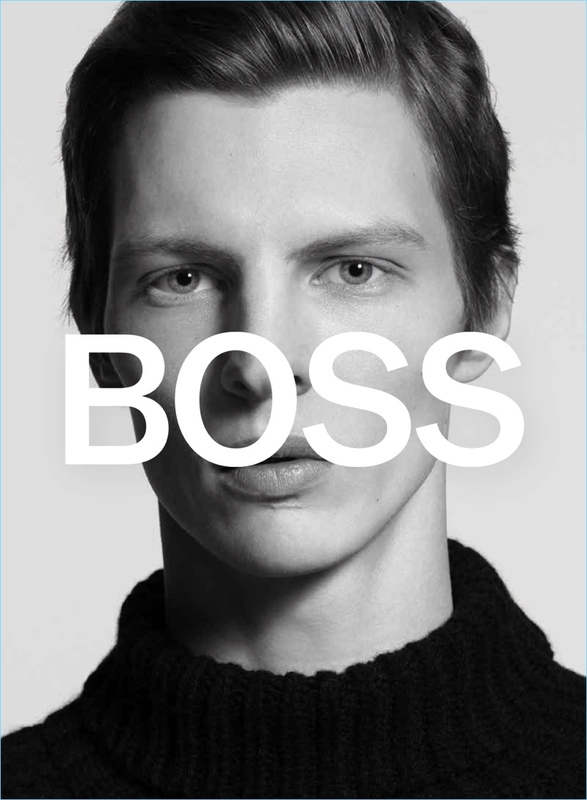 BOSS collaborates with photographer David Sims for its fall-winter 2018 campaign. 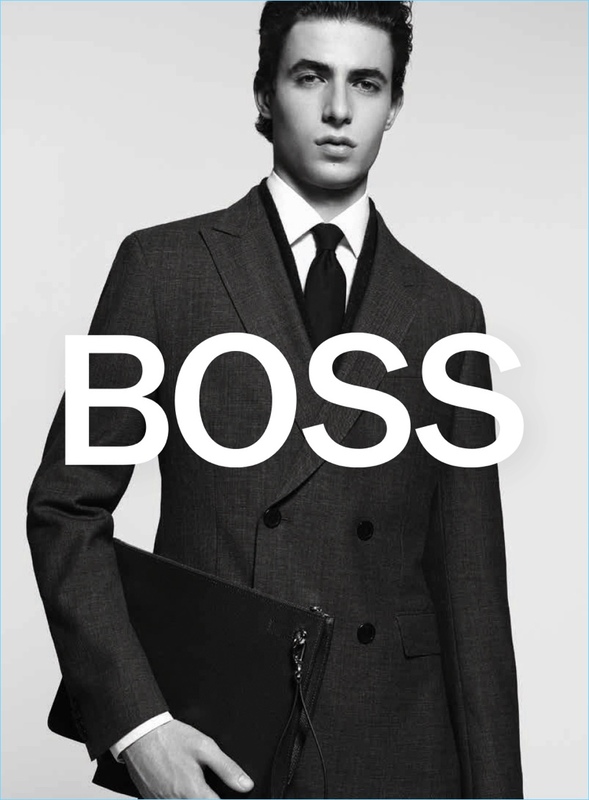 The outing features Sims' striking black and white imagery juxtaposed with a bold "BOSS" logo. 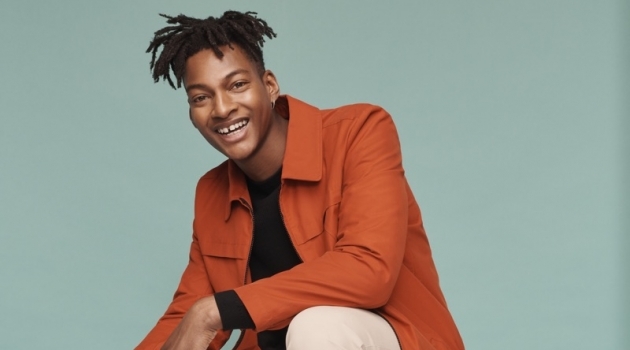 The German brand plans to release the campaign in stages that reveal more of each model's look. Ultimately, full-length pictures will complete a multi-layered story. 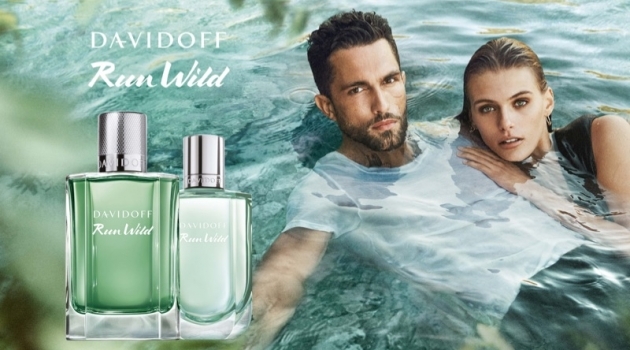 Front and center for the advertisement are models Oscar Kindelan, Tim Schuhmacher, Michael Gandolfi, and Jin Dachuan. 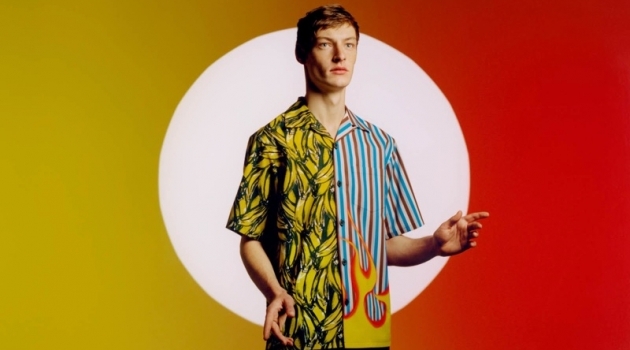 Sporting sleek fashions, the models are styled by Karl Templer. German model Tim Schuhmacher stars in BOSS' fall-winter 2018 campaign. 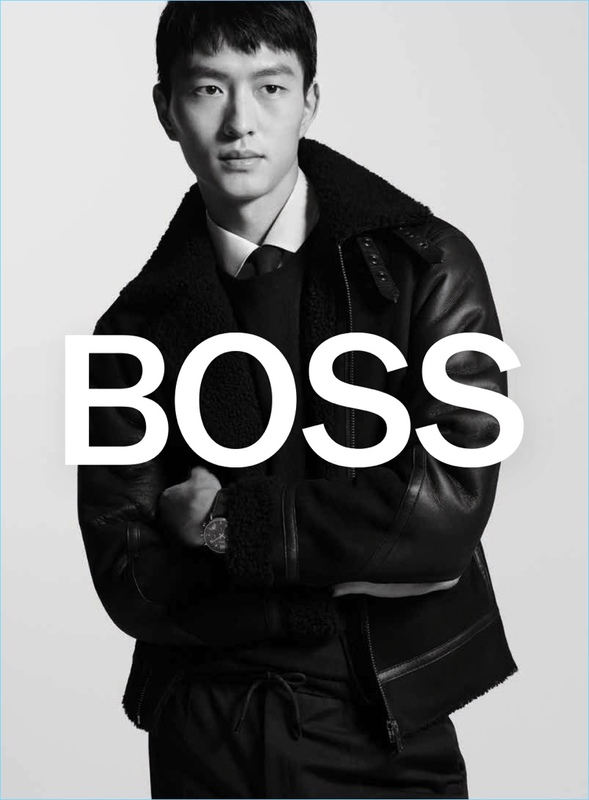 Jin Dachuan is front and center for BOSS' fall-winter 2018 campaign. 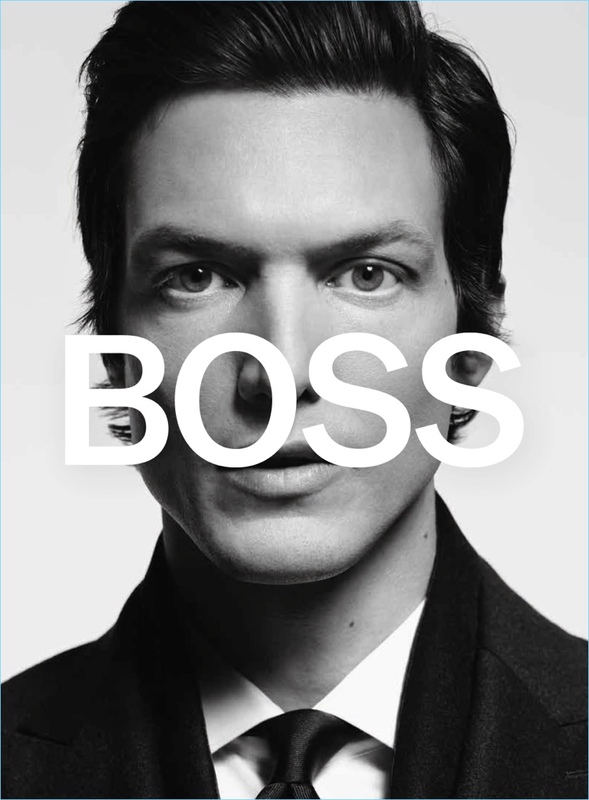 Tim Schuhmacher appears in BOSS' fall-winter 2018 campaign. 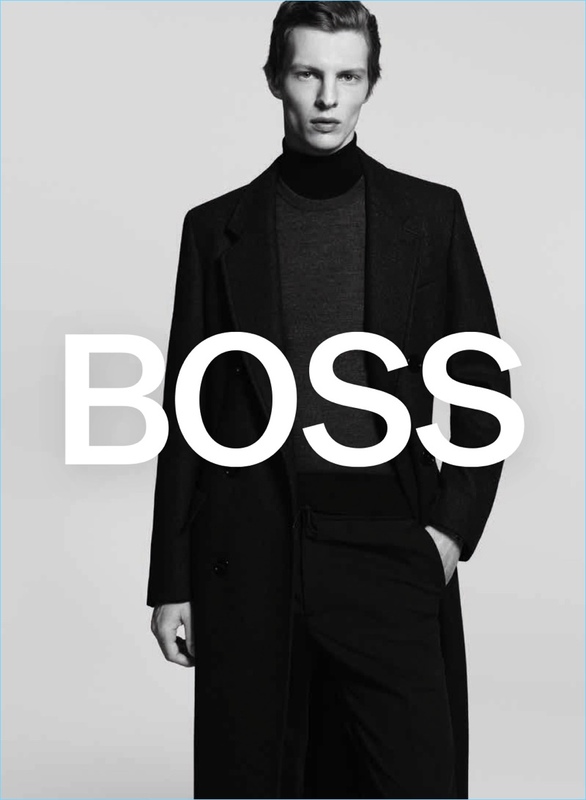 Model Michael Gandolfi stars in BOSS' fall-winter 2018 campaign. 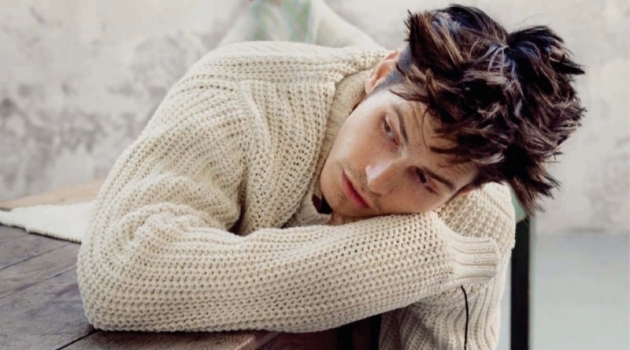 Oscar Kindelan fronts BOSS' fall-winter 2018 campaign.